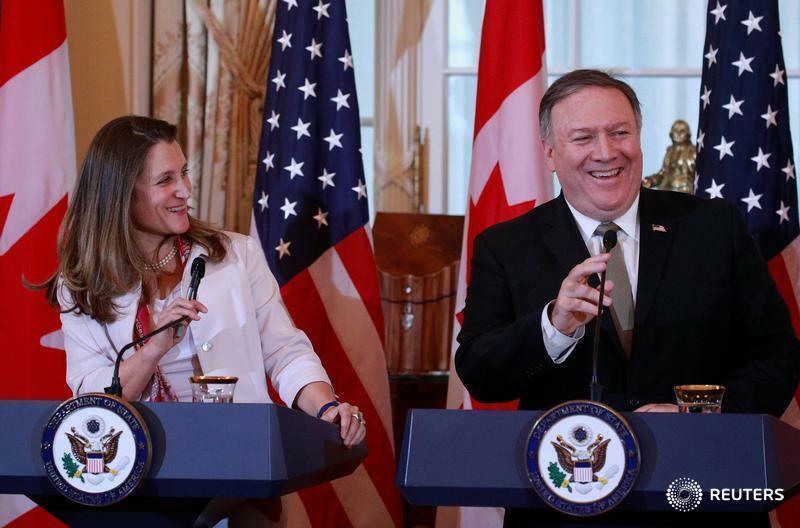 OTTAWA (CP) — Foreign Affairs Minister Chrystia Freeland says Canada has kept its privileged access to the U.S. market even as the new North American trade deal hangs in the balance. The leaders of all three countries signed the deal last fall but its formal ratification remains uncertain amid political jockeying in and between the U.S. and Mexico. Freeland is hinting the government isn't worried about the way forward, saying Canadians can continue to enjoy the benefits of the existing 25-year-old North American Free Trade Agreement (NAFTA), which remains in place. Freeland reiterated that U.S. tariffs on Canadian steel and aluminum, officially imposed on national-security grounds when negotiations on the new treaty were at a delicate point,, are ``absurd'' and ``illegal'' but she stopped short of saying that lifting them would be a precondition to the government ratifying the new continental trade deal.